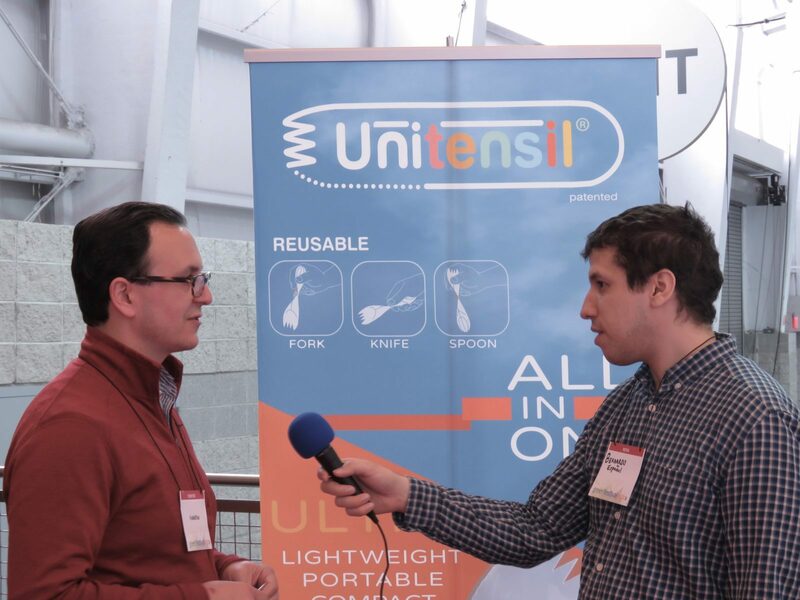 At the Green Festival at the Jacob Javits Center a little while back we found some really interesting products from Fold it Flat. The star attraction was the Unitensil. 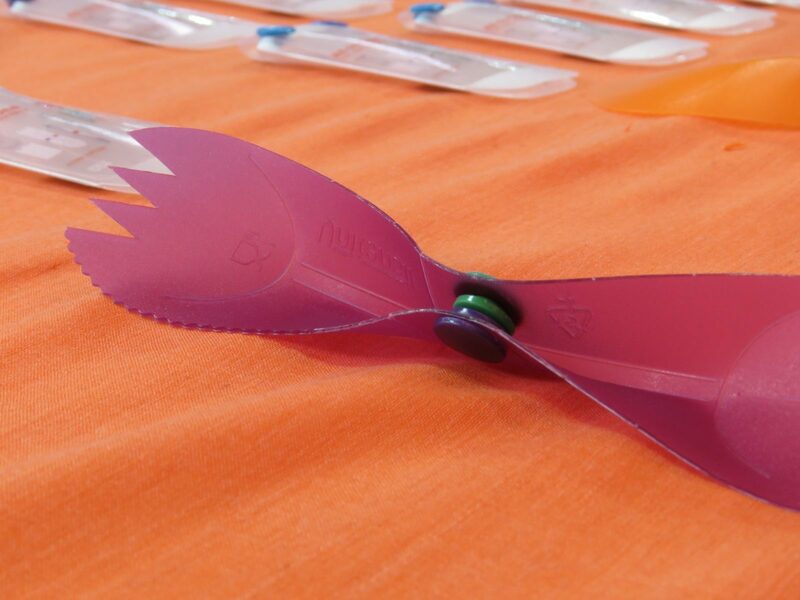 It is a reusable foldable plastic spoon/fork/knife that is great for packing light with the intent of reuse. There was even a prototype of a paper/cardboard compostable version for commercial use. We played around with the various versions of them and loved them. We decided to interview the person at the booth who turned out to be the creator of Fold it Flat and its various incarnations. Check out our interview with Fold it Flat’s genius creator and learn more about his products. I think Theo is on to something with this. A compostable cardboard like Unitensil would be a godsend for street food vendors and cafeterias. After the interview Theo gave both Jasmine and I some samples of the original Unitensil and we honestly love them. They are perfect for my book bag and have come in handy several times already. I can totally see these taking off as branded products for goodie bags, camping supply stores and even bento box lovers. Huge thanks to Theo for taking the time to talk to us and the Green Festival for having us as press. If you would like to know more please click on the links below.